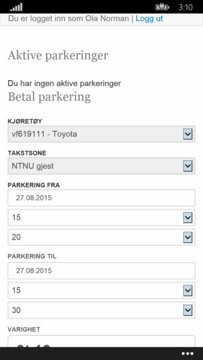 This application allows users to purchase parking time on NTNU's parking lots in Trondheim. Parking time can be purchased ahead of use and can be cancelled before it starts or aborted during the valid period if no longer needed. 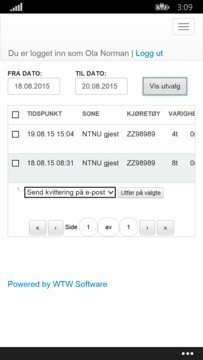 The application allows you to register multiple vehicles and credit cards for ease of use.